After nearly 200 years in the making, Savor Southwest Washington Wine debuts Saturday, May 11. The Southwest Washington Winery Association (SWWA) hosts the all-inclusive wine and culinary celebration at the Pearson Air Museum. Merely a stone’s throw from Fort Vancouver, the historical trading post stands as the first location of grapevines in Washington. 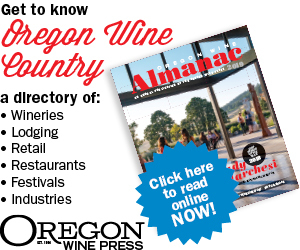 As of press time, 16 wineries and six restaurants have committed to making the afternoon an elevated experience for 350 ticket-holders, showcasing wines produced in Clark, Lewis and Cowlitz counties served with food from top area restaurants. With more than 20 licensed wineries in Clark County alone, the burgeoning area is worth the visit, an approachable, accessible and affordable alternative to other Northwest wine destinations. Not only do the region’s wineries grow their own grapes, but they also source fruit from celebrated sites such as Red Mountain, DuBrul, Les Collines and other vineyards throughout Yakima Valley, Walla Walla Valley and Columbia Valley AVAs (American Vititcultural Areas). Working toward its own AVA, Southwest Washington continues to convert more and more acreage to wine grapes every year; the oldest vines — Pinot Noir dating to 1980 — are planted at English Estate. Other regional varietals include: Maréchal Foch, Pinot Blanc, Siegerrebe, Golubok, Gamay Noir, Tempranillo, Orange Muscat, Sauvignon Blanc, Cabernet Sauvignon, Gewürztraminer, Sémillon and Pinot Meunier. Attendees will have plenty of opportunities to taste the many varieties and the results of both local and outside grapes with more than 50 wines being poured. According to Destiny Brink, event lead and co-owner of Pomeroy Cellars, guests will be greeted with a convenient coat check. Inside the historic hangar, winery booths will line walls, and down the center of the ample space, tables and chairs, plus a relaxation area, will be situated. A separate VIP area will occupy the east side of the building. Brink says Savor Southwest Washington intends to play off the building’s historic era with décor befitting its heyday. 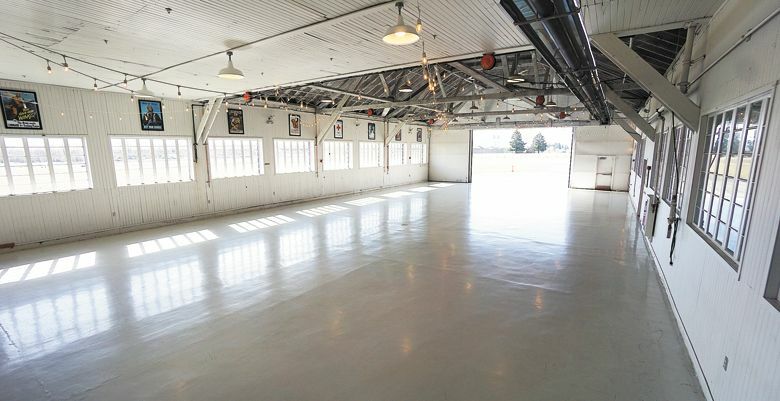 Listed on the National Register of Historic Places, the hangar was originally built in 1918 as a cut-up plant for aircraft spruce and re-purposed into a hangar about 1921. In addition to hangar doors, 24 windows running along the north and south walls allow light to flood the space year-round. Steve Bader of Bader Beer & Wine Supply also will be on hand, demonstrating winemaking equipment for the budding enthusiast. A member of the SWWA, Bader has been selling beer and wine supplies in Clark County since 1992. Frequent wine tasters will be pleased to know the event will offer crystal stemware with wine glass lanyards, seating for 100 and additional surfaces such as stand-up bistro tables. Weather dependent, outdoor seating will be set up on the west side of the building. An open-air photo booth and parting swag bags are just two ways the SWWA hopes to impart a sincere “thank you” to each visitor who comes out to spend an afternoon with them. The SWWA officially formed in 2016 and has sponsored four recurring events since then: Valentine’s Wine and Chocolate; Spring Wine Release; Labor Day Food and Wine Pairing; and Thanksgiving Weekend Barrel Tasting. Brink says last year the marketing committee determined it was time to take the lead in a wine event sponsored by the association, for the association and all about the members who make up the group. Bringing supportive restaurateurs into the fold was a natural extension of what they’ve done on a smaller scale with the quarterly showcases. Tommy O’s Pacific Rim Bistro, Farrar’s Bistro, La Bottega, Elements Restaurant and Bleu Door Bakery will collaborate on the culinary portion of the experience to ensure all fare offered complements the wine and offers variety. A sixth, yet-to-be-disclosed restaurant is set to join the talented group. Early bird tickets for Savor Southwest Washington Wine went on sale March 11 and can be purchased for $65 through April 10. General entry tickets can be purchased for $75, April 11–May 10. Day-of tickets will be sold for $85 (unless sold out). For more information, visit swwawine.com.